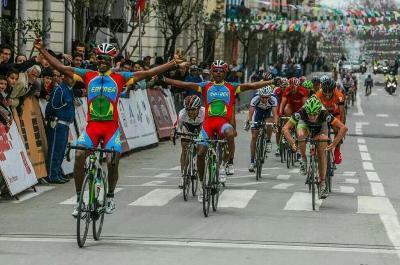 It is been said that the cyclists had bitter dispute with the Eritrean sports Authorities on a number of issues including on their repeated demands for the purchase of new bicycles and other necessary equipment in order for them to be competent. The latest defection comes only few days after ten football players from the Eritrean national team sought political asylum in Botswana after they lost 3-1 to the host nation in a qualifier match for the 2018 World Cup. According to Sources, the group of Eritrean cyclists managed flee to Ethiopia risking their life to cross the heavily patrolled borders of the country. Up on arrival, the Eritrean team was welcomed by the local officials at Tigray region, bordering Eritrea, and are currently sheltered at Enda Abba Guna, a temporary refugee processing center, in the northern Ethiopia region. The cyclists had bitter dispute with the Eritrean sports Authorities on a number of issues including on their repeated demands for the purchase of new bicycles and other necessary equipment in order for them to be competent. However none of their demands were met which led for their decision to pullout from the national team which had competition in few days. Angered by their decision Eritrean authorities threatened the cyclists to send them to a military training as a punishment which led for the team to defect. There have been frequent mass defections by Eritrean sports persons in recent years mostly among football players of the national team. Eritrean athletes often refuse to return home after international matches mainly to escape mandatory military service which is compulsory to every Eritrean aged 18 to 45. The latest defections are said to be a big blow for one of the world’s most repressive country which is often referred by right groups as the North Korea of Africa. The Red Sea nation has been accused by the UN of forcing its citizens to indefinite national military service and of killing won citizens trying to escape abroad under an imposed shot-to-kill policy. Eritrea should never have been allowed to become an independent country - it is too insignificant an entity to constitute a country. The actions of the despotic criminals who rule it have proved the positions taken by former Ethiopian leaders in absorbing Eritrea into Ethiopia. Eritrea's colossal failure as an independent nation calls for its immediate re-absorption by Ethiopia in the interest of fellow Africans in that dungeon. Ethiopia should reclaim Eritrea right away. UAE considers leasing Asseb for 30 years, Report says. ውስብስብ የሆነው ቤተሰባዊ ሙስናና ጸረ ሙስና ኮሚሽን….